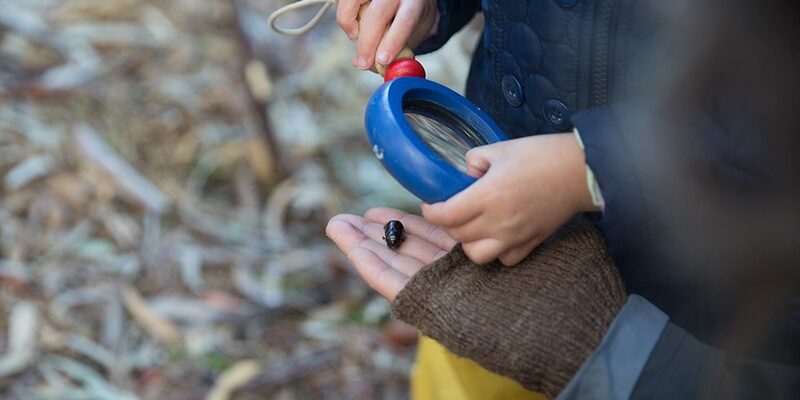 Join us for a weekly group (10 sessions) of nature connection, nature play, nature craft, art, stories, song, learning and exploration in the bush at Arthurs Seat on the Mornington Peninsula. Eco Explorers Mornington Peninsula playgroup is run by Alison, a qualified Primary School Teacher, and Anthropologist. There is a different theme each week, as well as our usual picnic and story time on the mat, song and craft sessions, climbing, balancing, building and learning about our natural environment. Some of the activities include mud kitchen play, nature art and crafts, earth painting, nature stamping, creating with clay, water and ice play, hammering and bush walks. Mornington Peninsula playgroups are an all weather outdoor playgroup so you need to make sure you bring appropriate weather protection and clothing. Children must have closed footwear when walking in the bush, sun hats, sunscreen, wet weather gear, plenty of snacks and water and a change of clothes. Our playgroup will only be cancelled in the event of an extreme weather warning; fire, storm, high temperatures and strong wind.